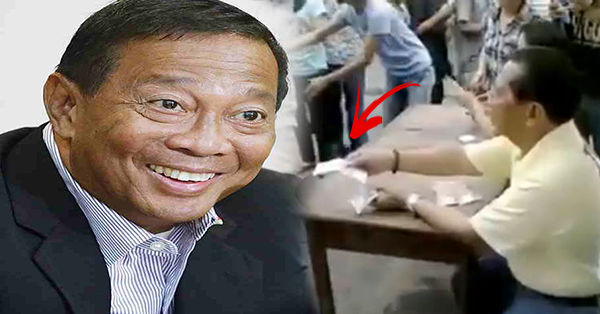 A video is circulating in social media where Vice President Jejomar Binay is giving money to people in long line. The video was uploaded by RBreezy Fanpage. Many netizens reacted negatively on the act of the United Nationalist Alliance standard bearer. They said that it is a prohibited act under the Omnibus Election Code. It can be seen that it P1000-bill is given away to people who are in long line. It is not clear where and when the incident happen. Do you believe in the video? What are your thoughts on this?